Who doesn’t love a welcoming entryway? Seeing (and purchasing) this rosemary tree at my local nursery inspired this project. 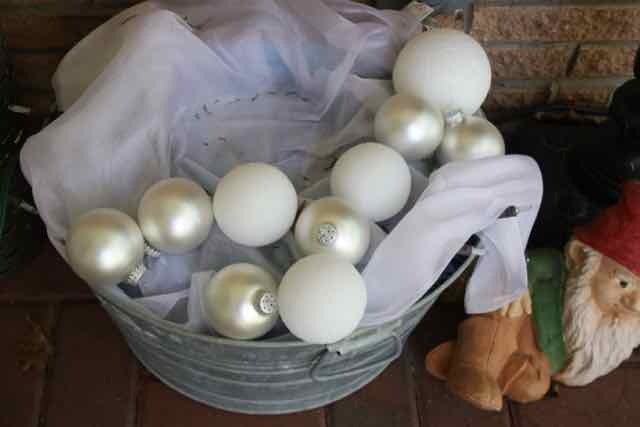 In a few easy steps your porch can say, “Welcome” and “Merry Christmas”! 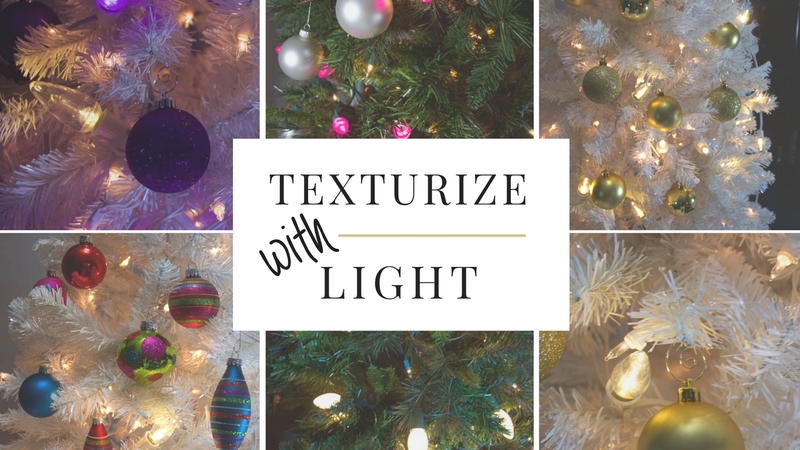 Small rosemary tree, Norfolk pine, 3 to 4-foot artificial tree or similar tree – could be a cactus if you live in the Southwest! 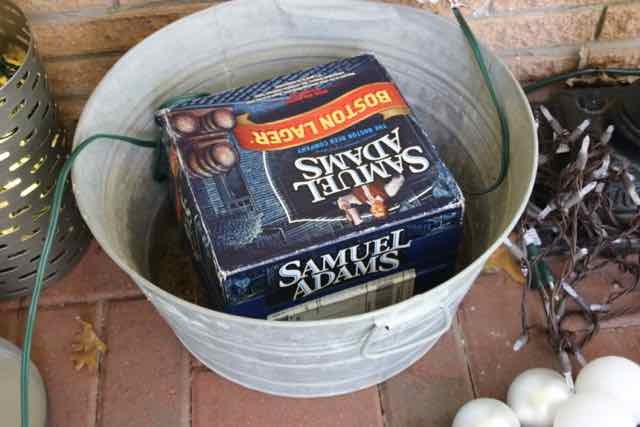 Get your bucket. Notice it does not have to be too pretty! 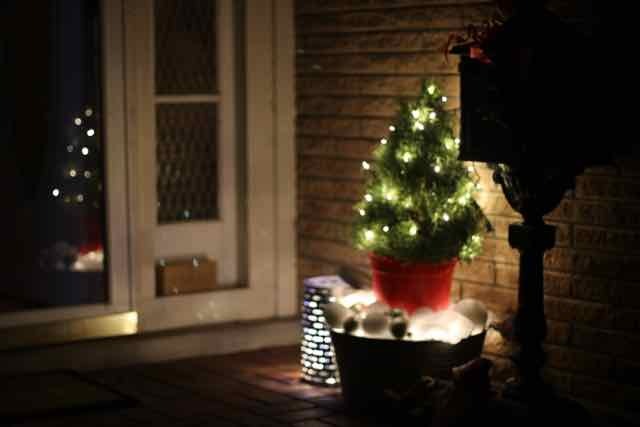 Add a cardboard box for elevation for your mini-tree. We grabbed this box out of the day’s delivery of packages for our Christmas lights recycling program after we pulled out the lights and the sender’s email address. 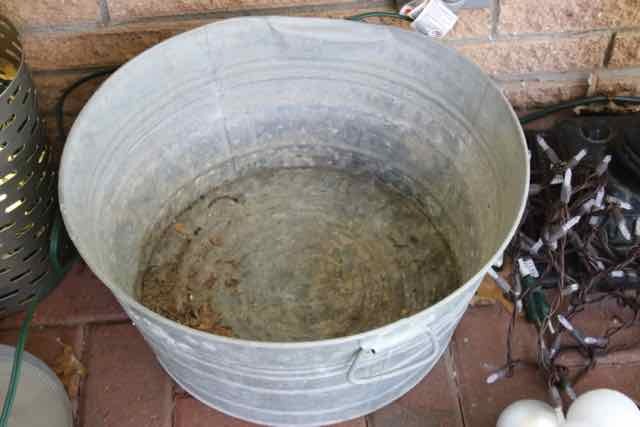 Add an old tablecloth to fill up the sides of the bucket a bit. 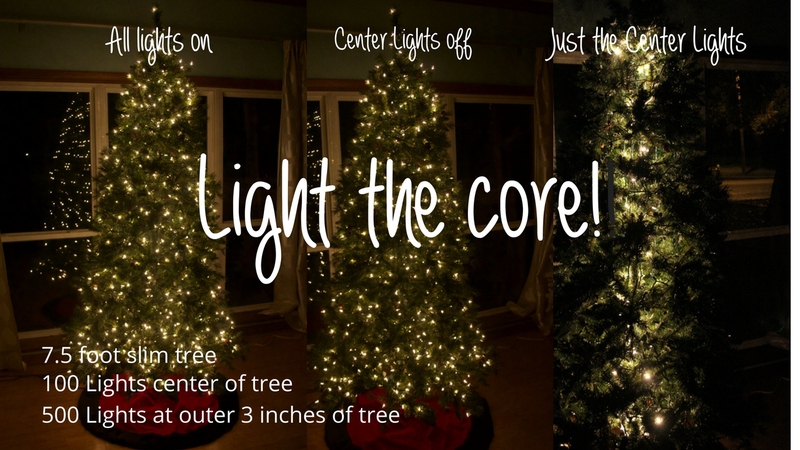 Add the light string. (We grabbed brown for this quick inspirational moment but white wire would work great as well. 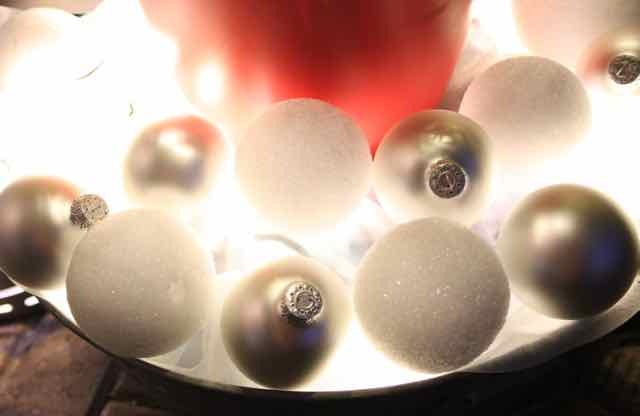 Assemble your ornaments! 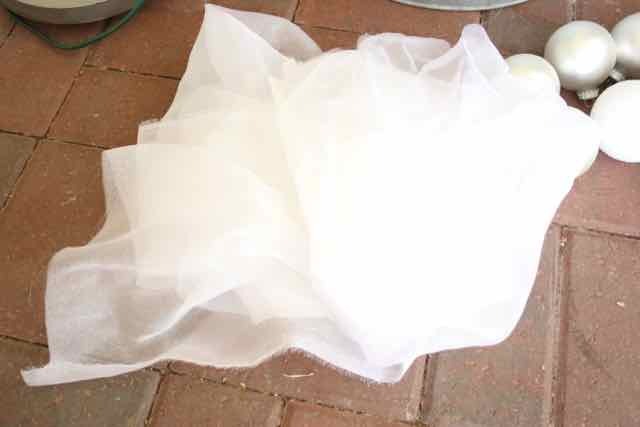 And your organza. 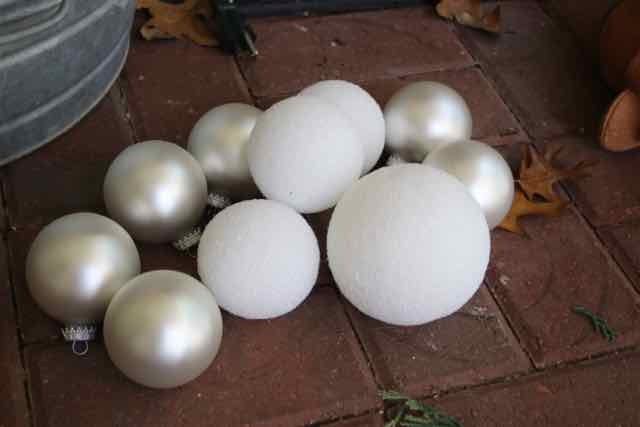 Throw the organza on the box, tuck under the edges. 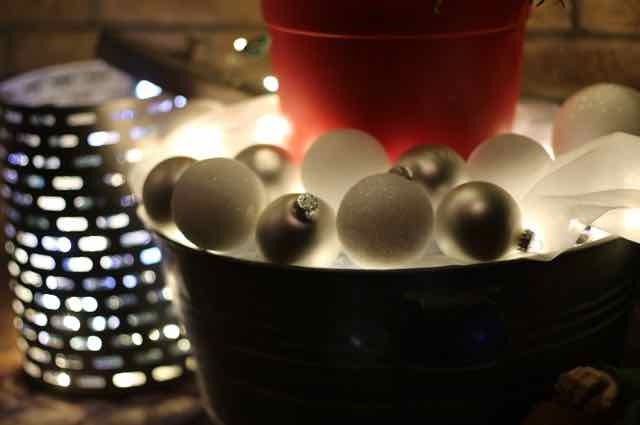 Add your ornaments and styrofoam balls to the front edge of the bucket. The gnome is seeing some photo-action today! 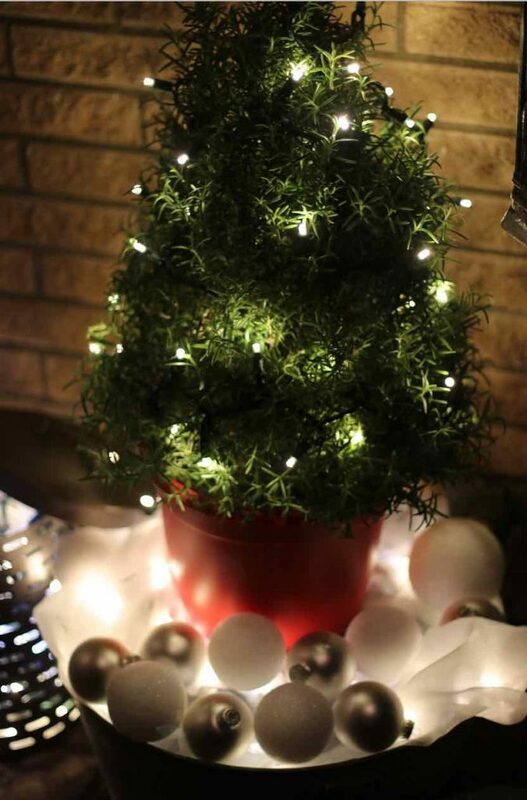 Add one of your strings of LED lights to the rosemary tree and install it on top of the box. While we used warm white, multicolor or any other color of lights on green wire would all be great choices. And while we were working…. the sun went down. 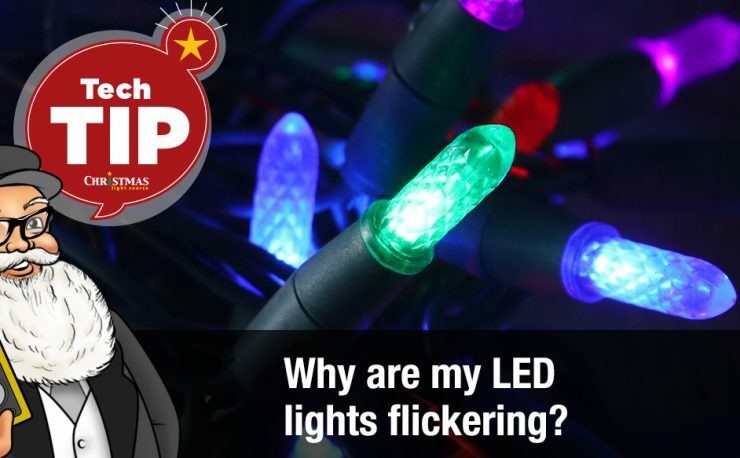 Plug in your lights and enjoy. 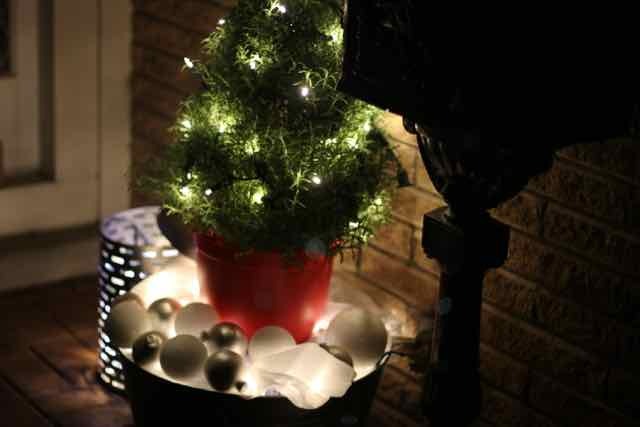 We added an Olive bucket full of lights to round out the display. 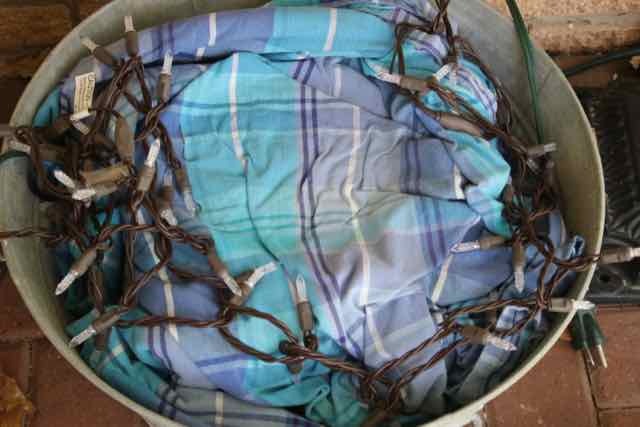 I’ll show you how easy it is to find and light an olive bucket in an upcoming blog. 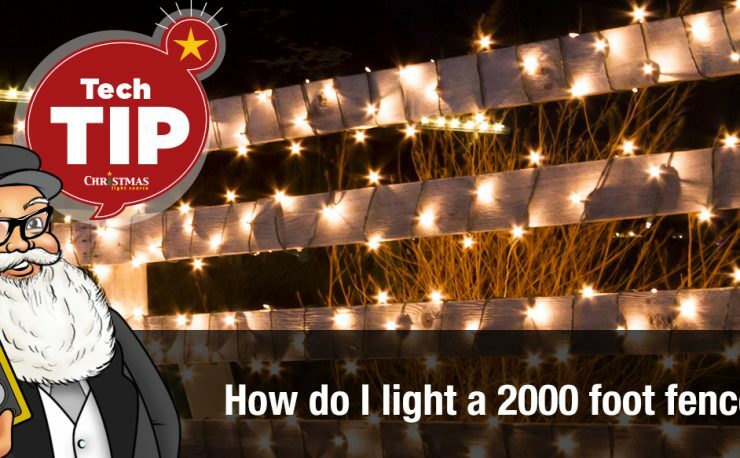 How are you lighting your porch for December? 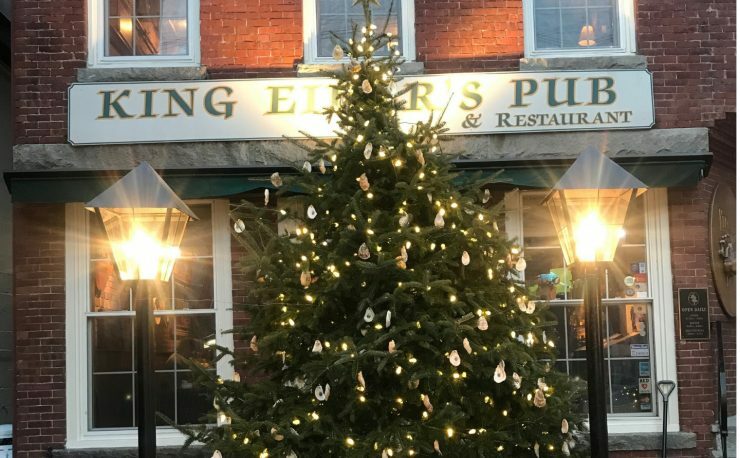 Pingback: Lighting Up Tiny Trees!